Fujiyoshida was Colorado Springs' first sister city and began the trend of Colorado Springs linking up to five other cities around the world (click here for the rest of them). Fujiyoshida and Colorado Springs entered into this relationship because both these cities lie at the base of two of the most iconic (and most visited) mountains in the world. 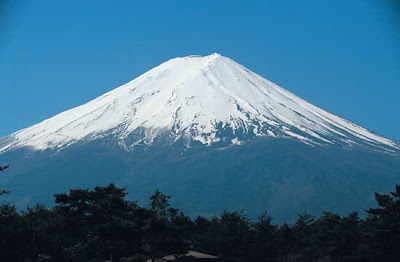 In celebration of the 50th Anniversary of becoming sister cities, both will re-create the 600-year-old Fujiyoshida Festival that celebrates Mount Fuji (above is a video of the preparation that goes into the Fujiyoshida Festival). The Mountain Festival will be at America the Beautiful Park Aug. 4. 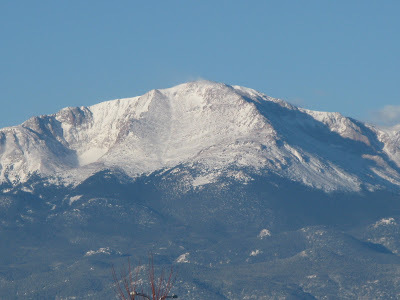 Below are some fun stats that compare Colorado Springs' Pikes Peak to Fujiyoshida's Mt Fuji. The FAC is celebrating the 50th Anniversary of the link between Colorado Springs and Fujiyoshida with the opening of a new exhibition that features paper cutting art by Japanese artist Hyakkimaru. 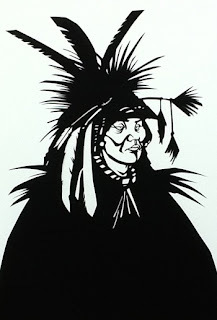 Hyakkimaru's art is inspired by the similarities between the culture of the Samurai and the culture of Native Americans.